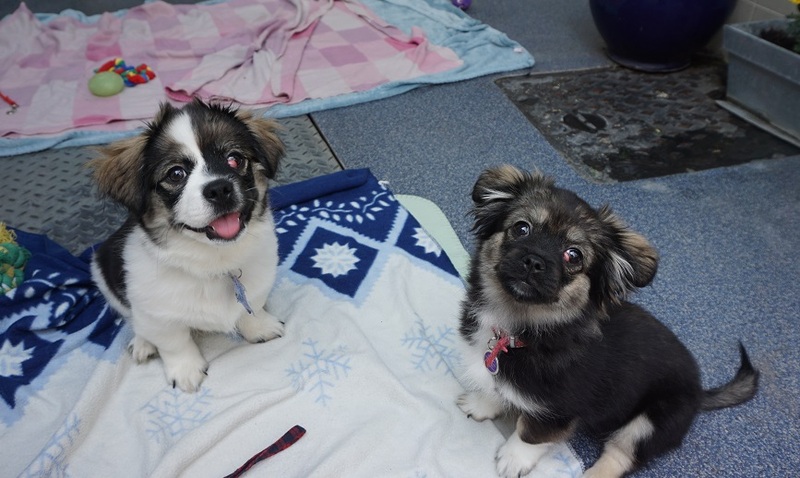 Two fourteen-week-old puppies were recently brought into London-based animal welfare charity, Mayhew, needing eye surgery. 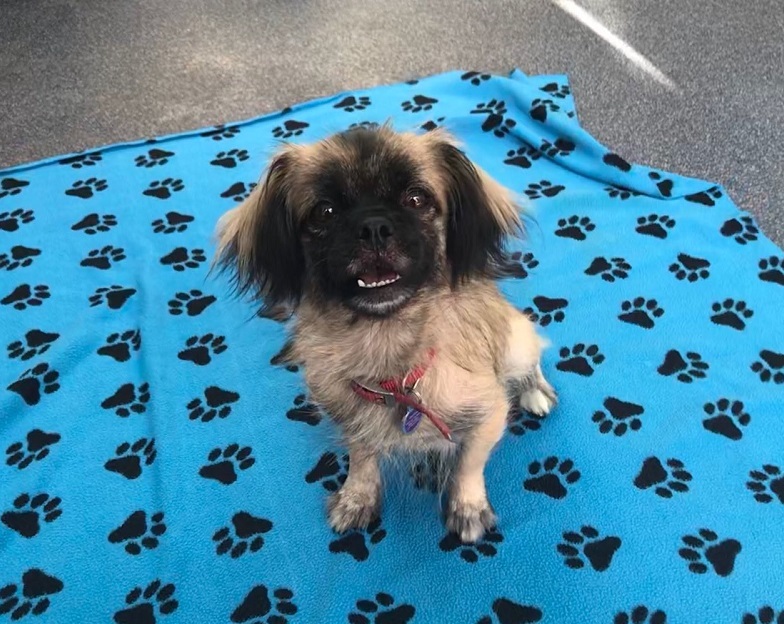 The Havanese Pekingese crossbreed pups, named Ebony and Domino, along with their mum, called Coco, arrived at Mayhew after their previous owner had been threatened with a notice of eviction from their landlord. 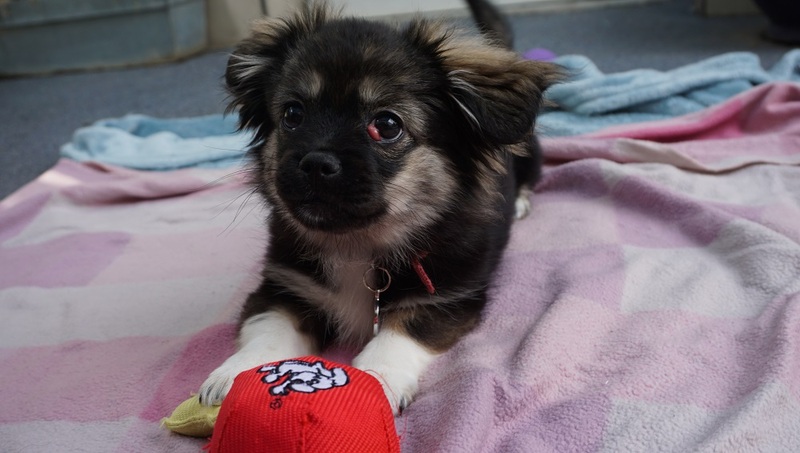 Mayhew’s Dog Adoption Officer, Lisa Guiney, said, “The previous owner informed me that the mum had four pups and that they had sold two, but were unable to sell Ebony and Domino. 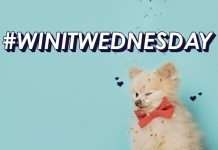 “After their landlord found out that they had a dog and had threatened them with eviction, they made the hard decision to give the mum up for rehoming, along with the two pups who will now have the opportunity to find their perfect forever homes. Three-year-old Coco was in a good condition when she arrived, but Domino and Ebony both had a disorder called cherry eye. 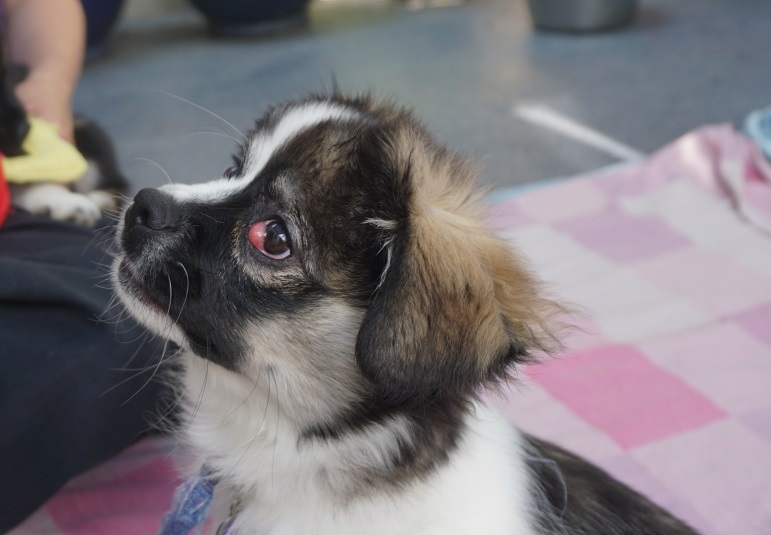 Cherry eye is a condition that causes the tear gland in the third eye lid to become swollen and red, protruding over the visible portion of the eyeball. The replacement of the protruding gland involves surgery. The two pups were quickly seen to by Mayhew’s Vet team at their on-site Community Vet Clinic to determine what kind of surgery would be best. 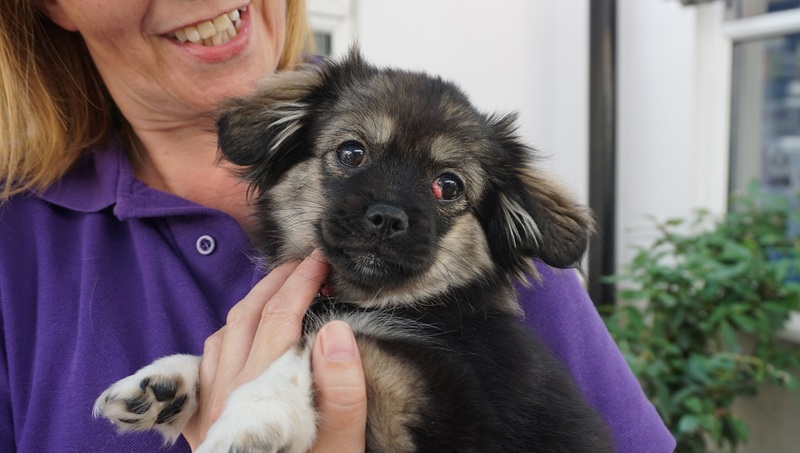 Mayhew’s Head Vet, Dr Ursula Goetz, said,“There are several different ways to fix cherry eye. The most difficult option, which we had to do, is to try to suture the gland back in behind the third eyelid and anchor the suture material to the bone, which sits under the eye. This is the technique that we use as it promises the best outcome. As soon as they were back on their feet and received the necessary care and treatment, they were ready for adoption. Domino and Ebony quickly found a new home together, but Coco is still looking for her happily ever after. If you are interested in adopting Coco or any other dogs in Mayhew’s care, please visit www.themayhew.org/dogs or call 020 8962 8000.